Become a Member for $10 a year. It’s easy and people 18 and under are free! Donate – We rely partly on your tax-deductible cash donations to make our museum run. We will soon have a PayPal account set up for online donations. In the mean time, you can mail a check to DuBois on Main, 116 Main Street, Mount Hope, WV 25880. Or if you want to donate relevant books or goods, contact us at duboison116main@gmail.com. 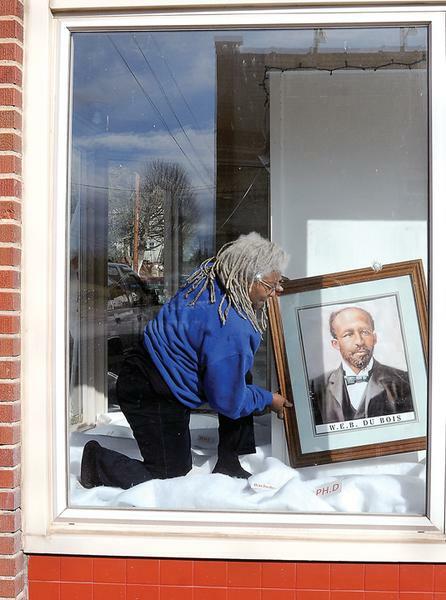 Founder’s Wall – Become a supporter of DuBois on Main and find a space of honor on our Founder’s Wall in the museum. DuBois Family – If you are part of the DuBois High School extended family, read about the DuBois Reunion and get in touch! Volunteer your time at the museum by contacting Jean at duboison116main@gmail.com. Or just stop in and say hello!